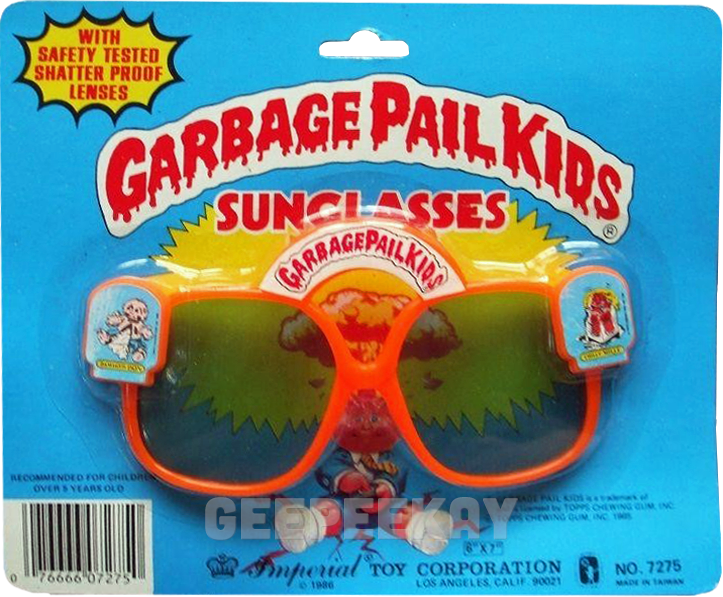 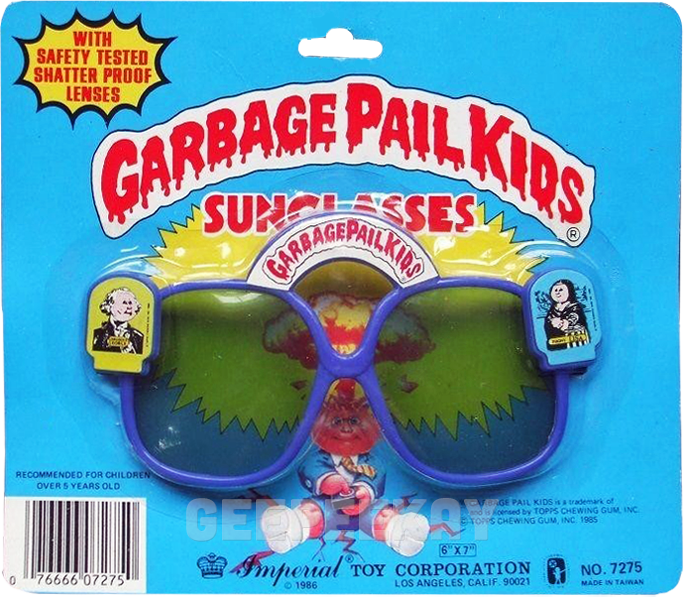 Garbage Pail Kids Sunglasses were yet another novelty product released by Imperial Toys during the GPK-boom. 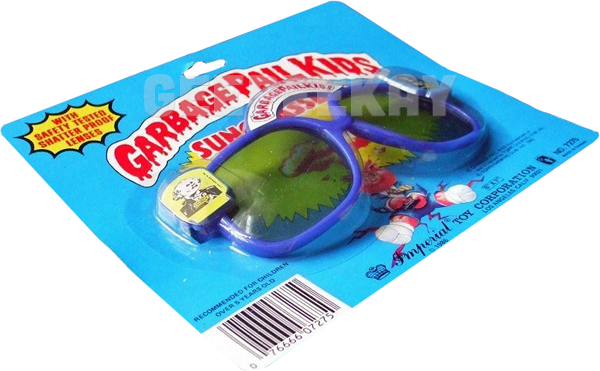 These cheap children's sunglasses came in '12 assorted styles', but it should be noted that the total refers to the characters on the corners of the glasses combined with the color of the frames. 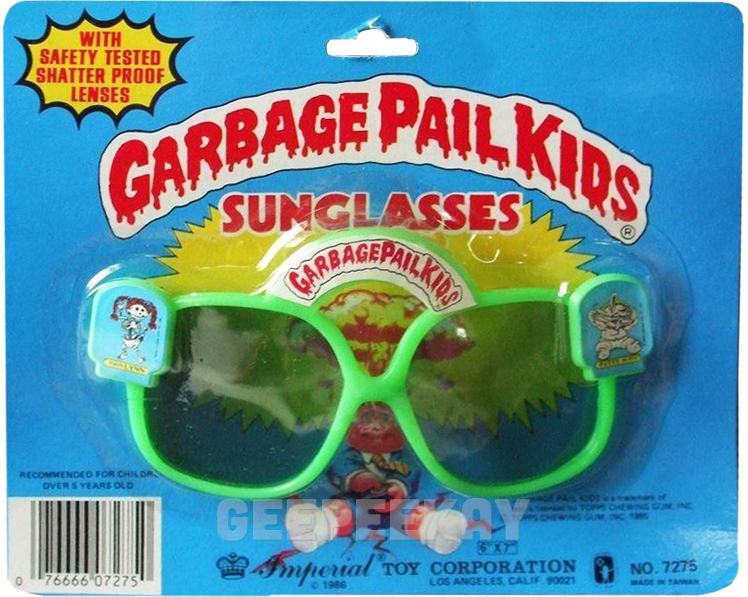 Like most Imperial Toys, the Sunglasses featured a mixture of Series 1 and Series 2 characters. 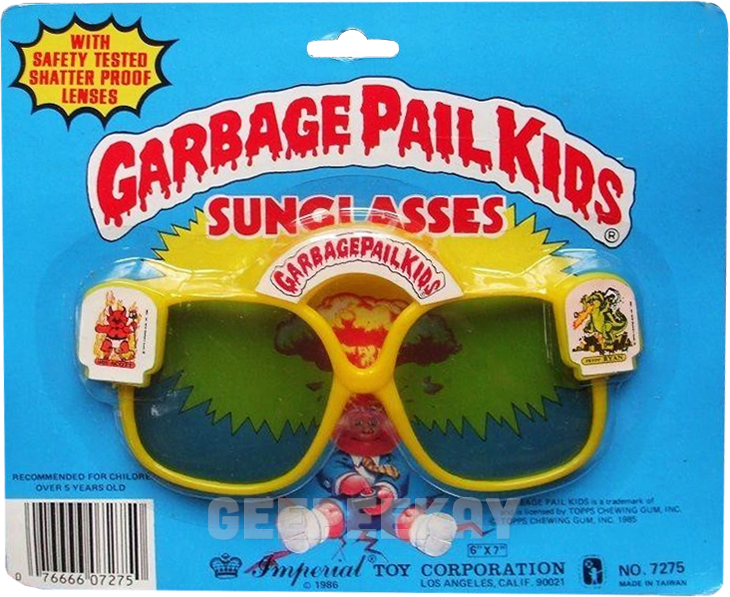 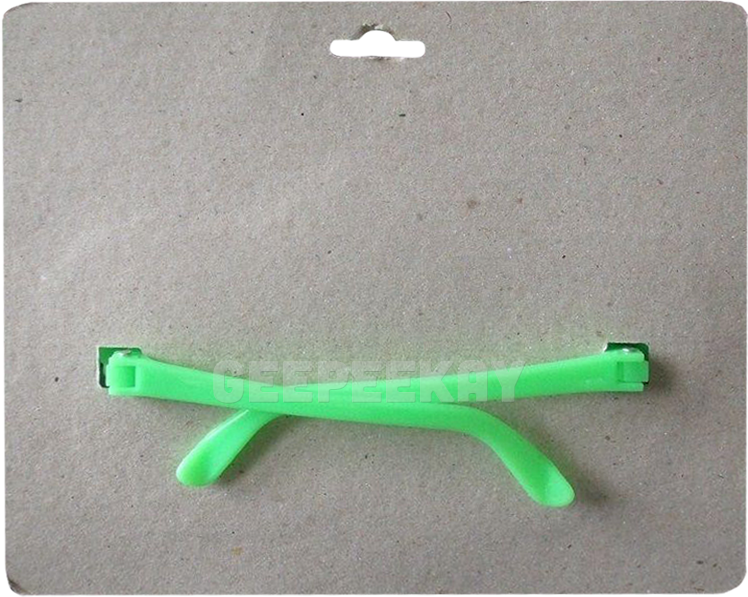 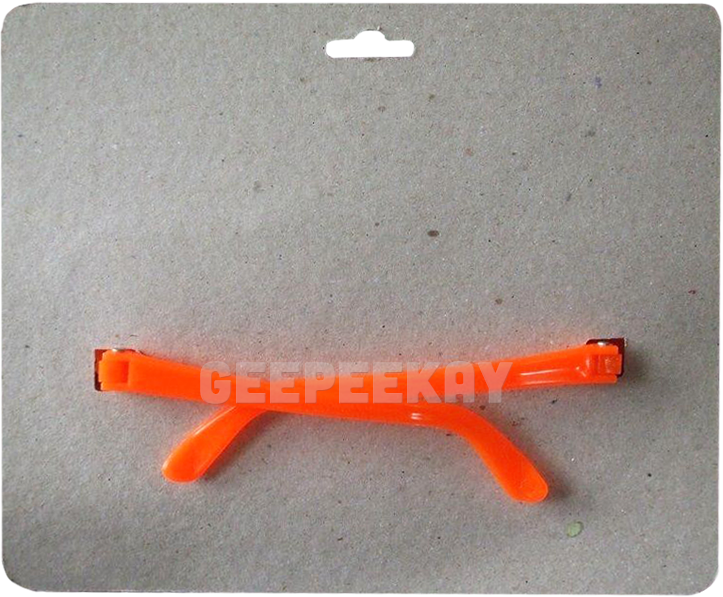 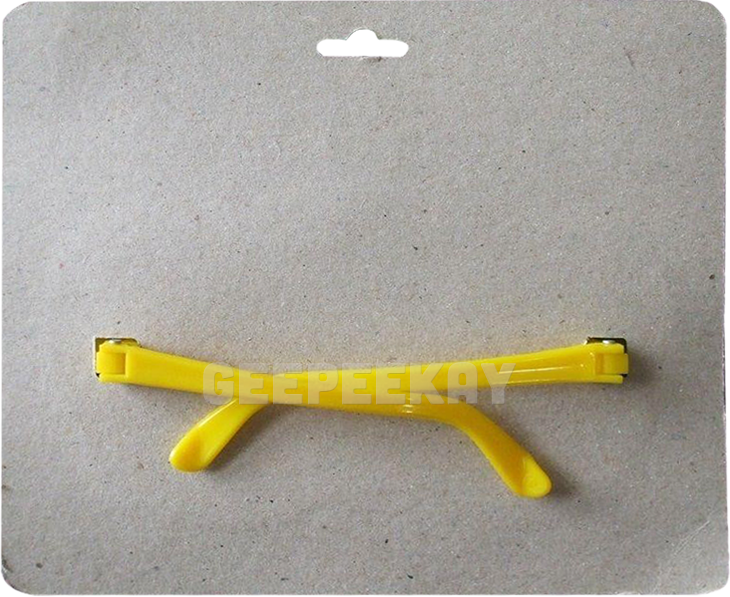 As mentioned above, the Sunglasses were produced in four different colors: Blue, Yellow, Green, and Orange. 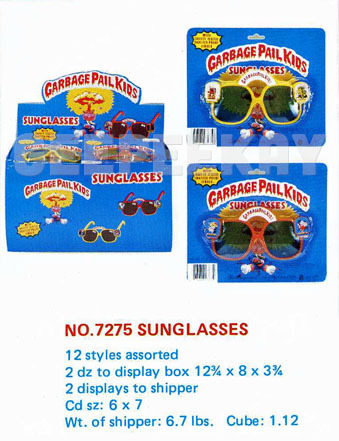 The front of the packaging (hilariously) stated these Sunglasses are equipped "With Safety Tested Shatter Proof Lenses", perhaps a nod towards the parents who often found themselves having to be the one to purchase the items? 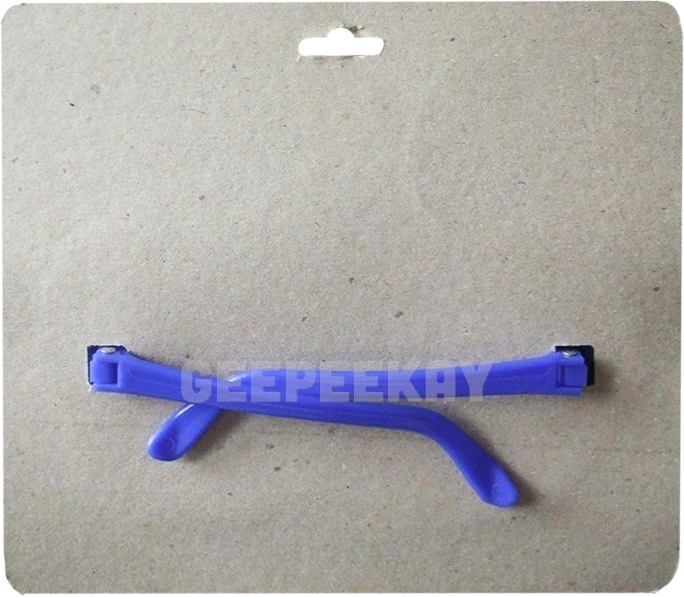 The back of the packaging however was unlike most of the other Imperial Toy products in that it is blank and does not provide any instructions or suggestions for use.